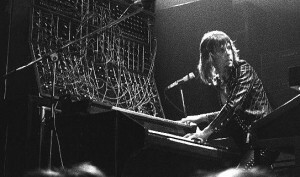 Keyboard Legend Keith Emerson will be attending CHILLER THEATRE EXPO in Parsippany, New Jersey on Oct. 26-28. Keyboard legend Keith Emerson (Emerson, Lake & Palmer (ELP), The Nice) will be appearing the Chiller Theatre Expo in Parsippany, New Jersey on Oct. 26-28. The Chiller Theatre Toy, Model and Film Expo, held twice a year at the Parsippany Sheraton aka the Tara Hotel in April and Oct, is your Premiere Convention for all things Cool! Chiller Theatre, with over 22 years in the business, is your #1 stop for the Best Celebrities, A Dealers room that is second to none, a Rock n Roll Costume Party the Saturday Night of both events and in association with WPIX Channel 11 in NY, we’ve brought back the TV show you know and love every Halloween, namely CHILLER THEATRE movie night! Come check us out! You’ll never be the same again!